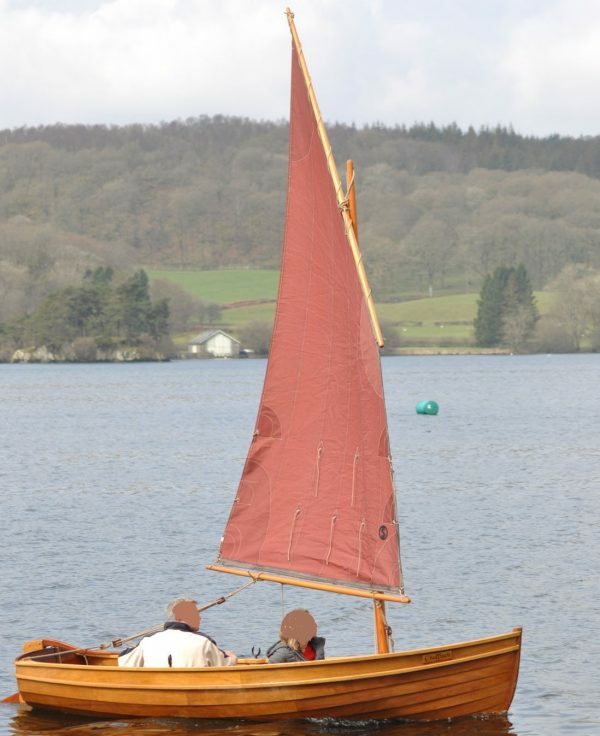 Ian Oughtred Shearwater sailing dinghy built in 2001 by the current owner and used occasionally on inland lakes only. 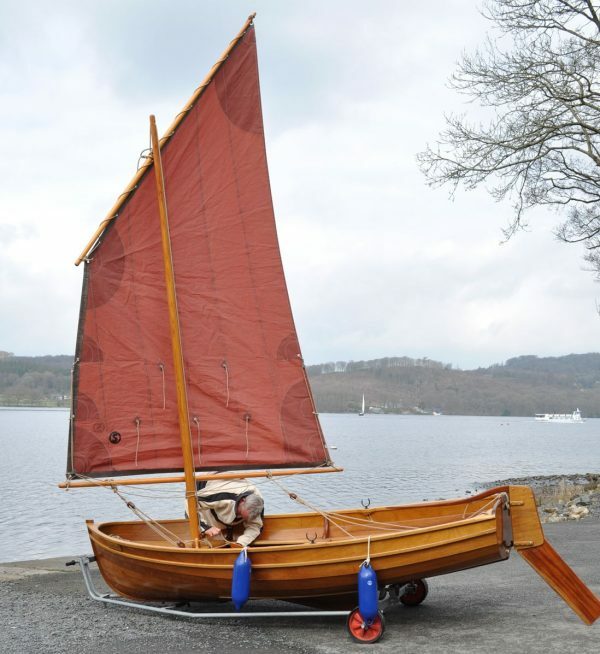 The Shearwater is one of Oughtreds many small dinghies, he has been a prolific designer and has taken influence from all over the globe. 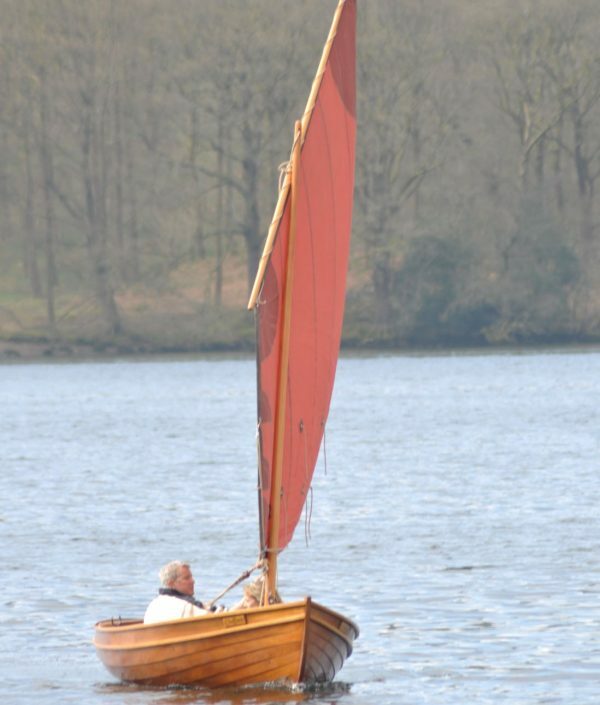 This boat has a large beam which carries at to the transom giving her good load carrying capacity but also enabling her to plane in the right weather conditions. 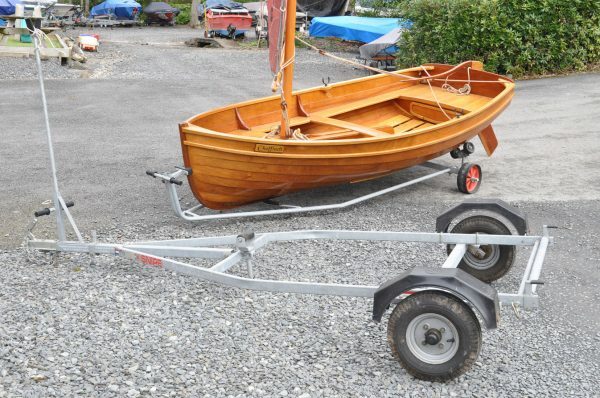 This boat comes with a custom made Snipe road trailer with a combination launching trolley making launch and retrieval of the boat exceptionally easy. She has an all over cover and has been kept inside most of her life meaning she is in excellent condition with only small cosmetic blemishes to show her age. 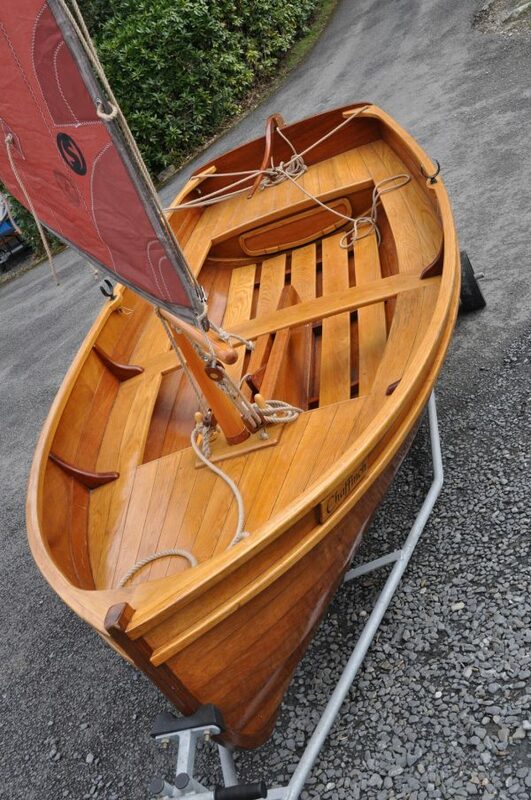 Clinker planked using Robbins Elite marine plywood bonded with West System epoxy. 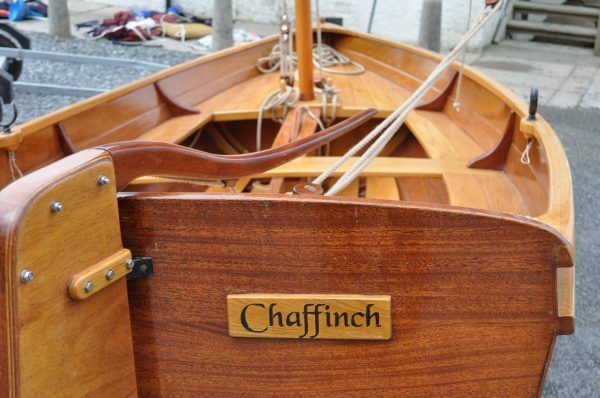 Laminated mahogany stem and keel with solid Khaya mahogany transom. 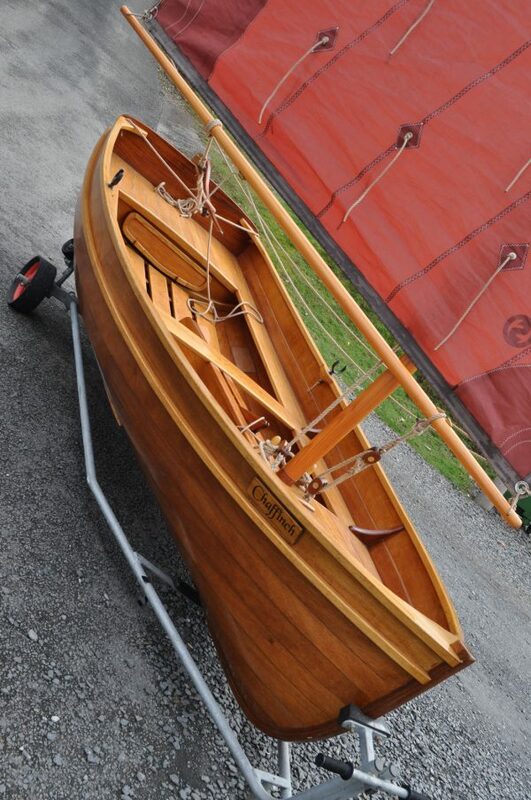 Varnished oak gunnels and rubbing strake. Rowlock positions for rowing. Varnished oak thwarts with sawn mahogany supporting knees. 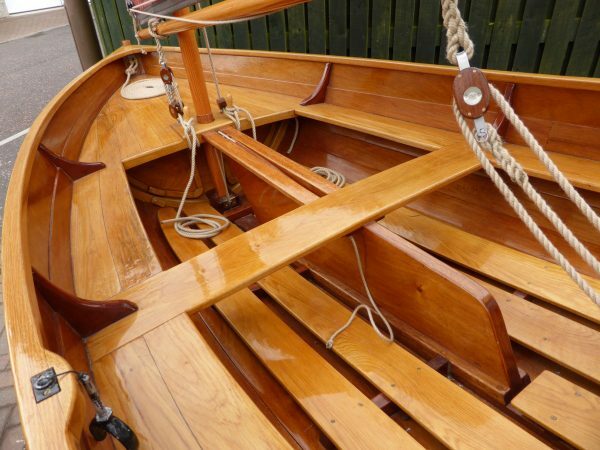 The fore and aft thwarts are effectively a laid deck and are sealed to act as buoyancy chambers or dry storage lockers. 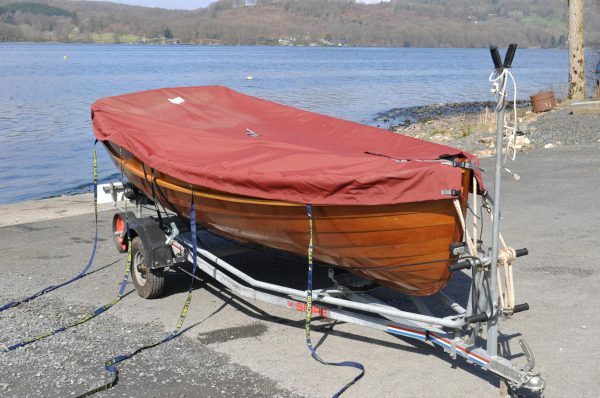 Marine plywood centreboard case with a weight centreboard raised with a rope tackle. Transom hung rudder with a lifting blade. Varnished oak slatted sole boards. Balanced lug rig on a solid varnished Douglas Fir mast and varnished Douglas Fir boom and yard. 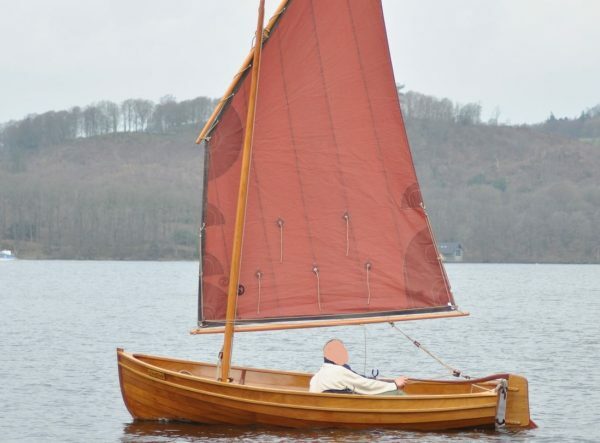 Tan terylene sail of 65sqft with 2 reefing points. 3 strand traditional looking polyester running rigging, Ash belaying pins and teak blocks with bronze sheaves. Main sheet goes to a rope horse across the transom. 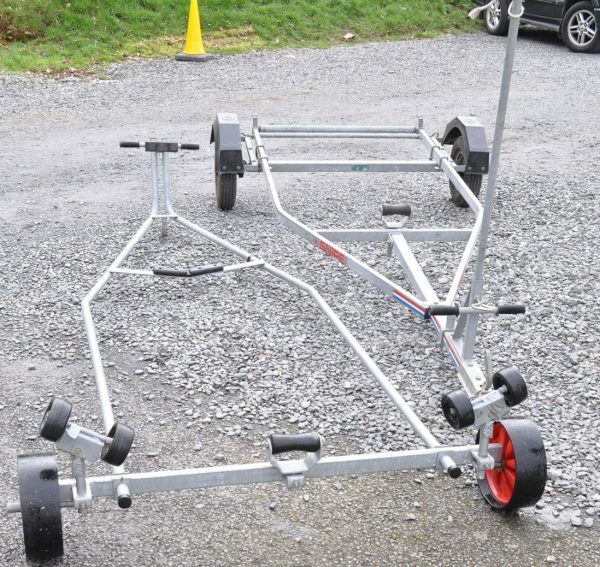 Snipe MC3 combi road trailer with launching trolley.